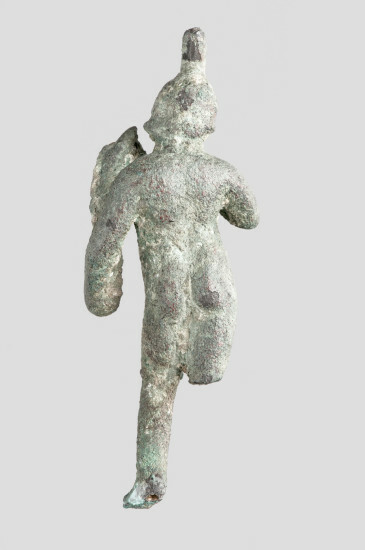 The Harpokrates-Cupid figure illustrates the Roman appropriation of certain aspects of Egyptian religion during the Republican and Imperial periods. In Roman religion, Harpokrates, the child of Horus and Isis, was conflated with Cupid while his mother was conflated with Venus. This representation shows Harpokrates-Cupid wearing the crowns of Upper and Lower Egypt and lifting his finger to his lips, iconographic elements that recall his Egyptian origin. His posture and plump child-like body resemble Roman depictions of Cupid. In the Egyptian tradition, Harpokrates’ raised finger was meant to convey the god’s youthful qualities. 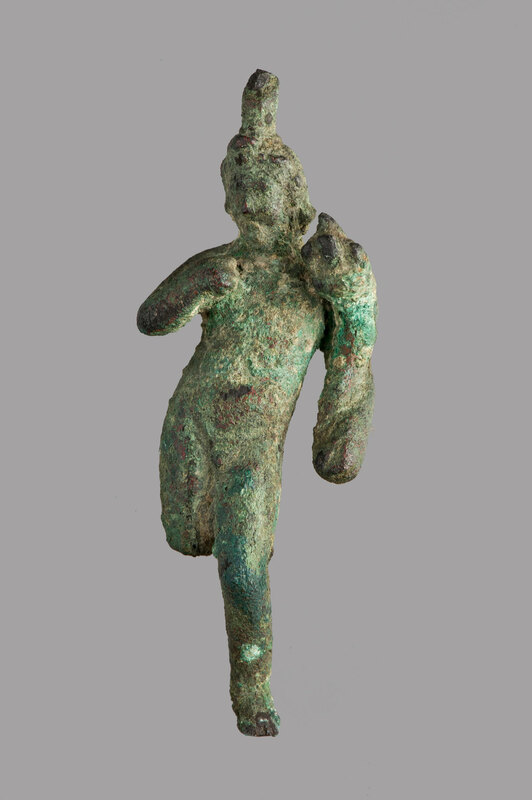 When this deity began to be worshipped by the Romans, his gesture was misinterpreted as symbolic of silence. The presence of Harpokrates-Cupid in the lararium would have solicited fertility and abundance within the household.